A unique modular furniture solution which is designed for you to have complete design creativity. Re-configure, adapt and customise STAKX to suit your own fashion and design trends. STAKX is not just another piece of furniture but a concept and a journey to embark on. 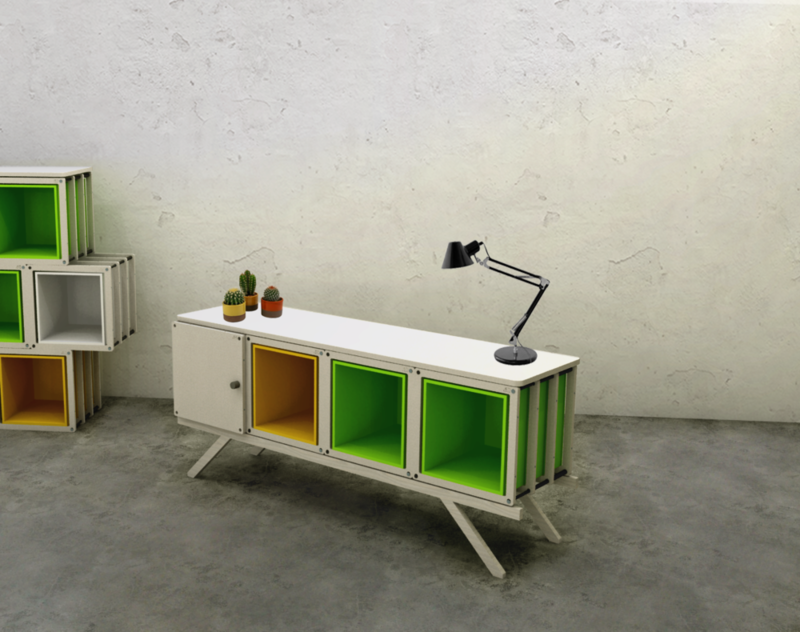 Inspired by Scandinavian design, STAKX consists of a plywood and steel structure. Using lots of accessories available grow your very own furniture. Based on the philosophy 'GROW, STACK, EVOLVE,' Become your own designer in your home or office and express your fashion and design trends with STAKX.